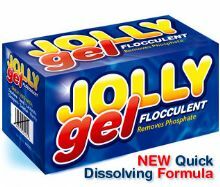 Jolly Gel is a fantastic gel based clarifier and flocculent used to remove the finest particles of dust and algae spores from the water passing through your filter. 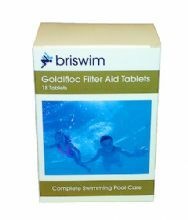 Goldifoc Tablets help to create crystal clarity water. 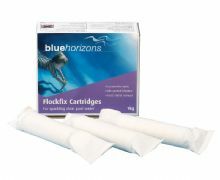 Dissolving slowly, Goldifloc Tablets release a coagulant to help filter and hold back the small particles which cause cloudiness. 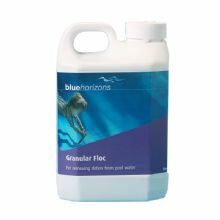 Floc granules sink unwanted debris to the pool floor creating clear sparkling water. Once the particles have settled on the pool floor, they should be vacuumed to waste. These Pool Mighty Pods are designed to clarify pool water, Control Phosphates (Algae Prevention) and prevent Scum Residue build up.